Vacant units can be covered through our DP-1 Vacant program. 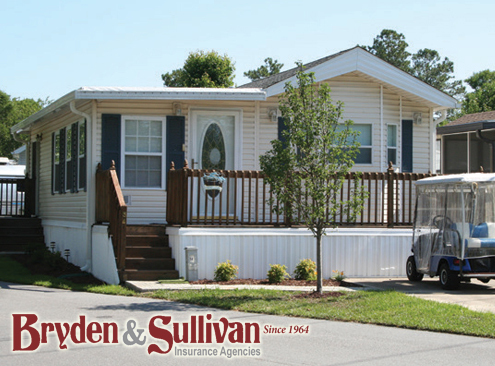 Our program provides comprehensive coverage for manufactured homes, designed for single-family, owner-occupied homes, with no age restriction. We offer other specialty programs for seasonal, rental, tenant and vacant occupancies. All coverages protect up to the stated policy limit. For a complete listing of coverages, exclusions, conditions and limitations on Cape Cod, please speak to Bryden and Sullivan at 508-775-6060. Overview Protection Comprehensive coverage means you are protected unless the cause of loss is specifically excluded by the policy. 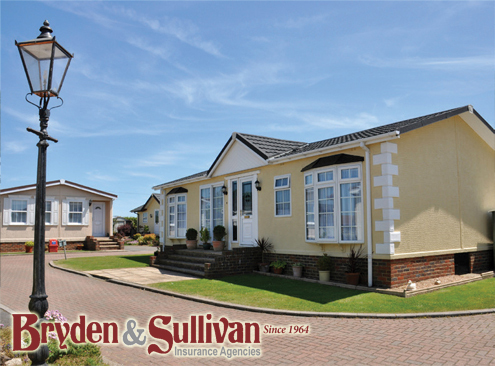 Settlement For a total loss, your settlement is for the stated value of your home as listed on your policy. We pay the actual cash value for a partial loss, but you can upgrade to replacement cost. Included coverage Personal liability If a guest is injured in your home, or if you accidentally injure someone or damage property away from your home, you may be liable. We offer several coverage limits. Personal property We protect your belongings for the actual cash value, but you can upgrade to replacement cost. Other structures We cover your shed, detached garage and fence. Reasonable repairs We reimburse reasonable expenses for repairs made to prevent additional damage, like covering a roof after a storm. Optional coverage Mechanical and electrical breakdown This valuable coverage extends your insurance program to include the breakdown of your furnace, air conditioning, all appliances, as well as all of your electronics. Builder’s risk To close your loan, your lender may require coverage for the time between the purchase and when you take occupancy. It includes coverage for site improvements, personal liability and theft of building materials. 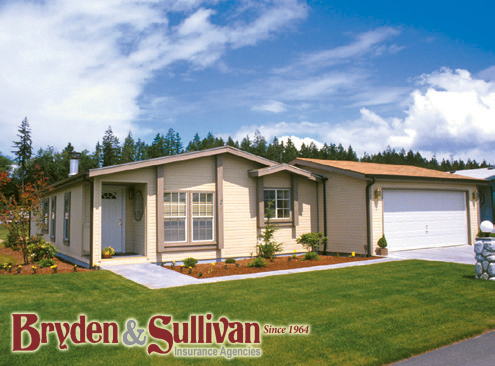 Rental property can be scheduled on one, easy to manage policy. One policy to manage, one payment, and one renewal date. Insureds with more than 11 scheduled units qualify for a per occurrence deductible cap of 10 times the base deductible. This is especially relevant when protecting multiple units against weather damage. In the event of a total loss, we will waive the deductible. Minimum to start is two units — the maximum on a single policy is 420. All units must be located in the same state. Policies with more than 100 units, or $2M in limits, require underwriting approval. Step 1 – Quote and book one unit to establish the policy. Step 2 – To add units, quote it to determine the rate, but do not book the policy. Instead, fax the quote to Bryden and Sullivan at 800-217-5150 attn: MH Schedules. You could also submit a previous declarations page. Either way, one of our support team will add the units to the schedule.